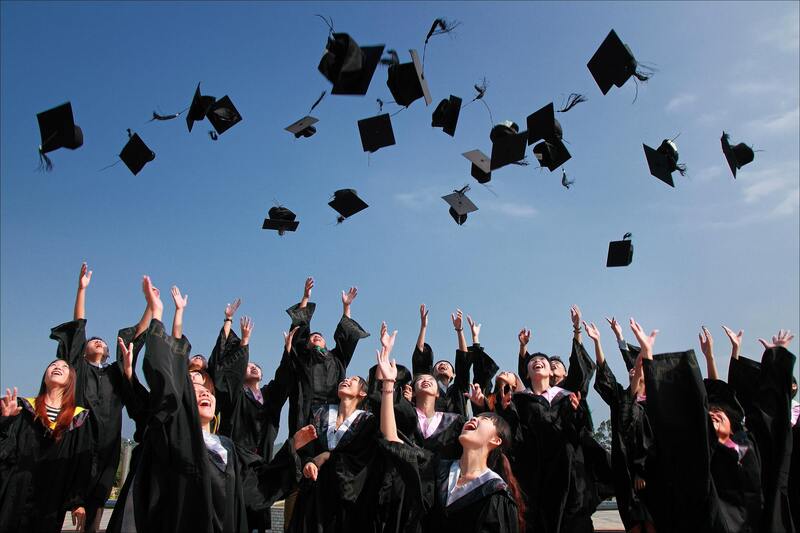 Your graduation is the culmination of all your hard work throughout your time with us. It is naturally your dream and at the same time a fulfillment of the hopes of your parents. All your effort and hard work, which you have persistently challenged yourself with, are now rewarded with this achievement. With the qualifications that you have earned, you will from now on be exposed to the outside world to practise whatever you have learned at APU in your field of expertise. Your Graduation Ceremony is a solemn event bringing together societal, traditional values and a conventional recognition as practiced by most Universities all over the world. This portal contains all the information that you need in order to make your Graduation a truly memorable occasion for yourself and your loved ones. Therefore, please thoroughly read and understand the guidelines provided, so as to ensure that the organizing team of staff are able to smoothly plan and execute all activities relating to your Graduation. Have a great Graduation Ceremony! Auditorium One, Level 7 Asia Pacific University of Technology & Innovation Campus, Technology Park Malaysia. While stage photography is included within your graduation package, a photo studio for family portraits will also be set up from 10:00am onwards, on Level 7, opposite Auditorium One. However, if you wish to order for the Group Photography and to take the Portrait/Studio Photography, kindly make payments directly to the photographer on the Graduation Day. A counter will be set up for payment purposes. Please obtain the receipt/coupon for any payments made. Graduates will need to be at the Atrium by 10:30 AM (Session One) & by 1.45 PM (Session Two) for group photography sessions before the Graduation Ceremony. Further instructions will be given to you. Group photograph payment of RM40.00 (optional) to pay directly to the photographer on the Graduation Day. IMPORTANT: Any latecomers will not be allowed to participate in the group photography session. During the receiving of scrolls on the stage, your individual photographs will be taken by the photographer. Please pause for about 2 seconds and look at the photographer for your photograph to be taken. Then proceed down the stage and get your photograph number from the photographer’s assistant who will be waiting at the other end of the stage. Please ensure that you retain the photograph number given to you in order to collect your photographs later. The photographer will be available personally at A.P.U @ TPM for collection of photograph. Thereafter, you may collect your photos from APU Administration Services, Block D, Level 4 APU Campus. Guest are required to remain seated throughout the ceremony and are not allowed to come forward to take photographs. The use of mobile phones is strictly prohibited inside the hall during the ceremony. Please ensure you and your parents/guests are aware of the request. i.e. to switch off all mobile phones prior to the beginning of the ceremony. The Florist will be stationed on Level 3 (near the Grand Staircase) and Level 1M (at the Driveway) for purchase of flowers and gifts. The Graduation Ceremony is a formal occasion. As such, please adhere strictly to the following guidelines on the dress code, failing which, you may not be allowed to enter the Hall. Men: Long-sleeved shirt & tie; suit (optional). Dark coloured trousers. Black/brown leather shoes. Ladies: Shirt/blouse, Knee-length or longer skirt/dress and medium height court shoes. Hair should be neatly combed and presentable at all times. Your Tertiary Graduation is a lifetime experience for you. As such, you should endeavour to look your best and smartest on the memorable day. The University has the right to refuse entry to graduates who are deemed to not appropriately dressed. Please check your fee statement and clear all outstanding payments (if any). Please return all library books and clear library fines (if any). Part A: Tracer Study (COMPULSORY as required by Ministry of Education, Malaysia).